The Wheely dog bed is not just a piece of furniture, itÕs a stylish addition to your interior, fitting your loyal friend like a glove. 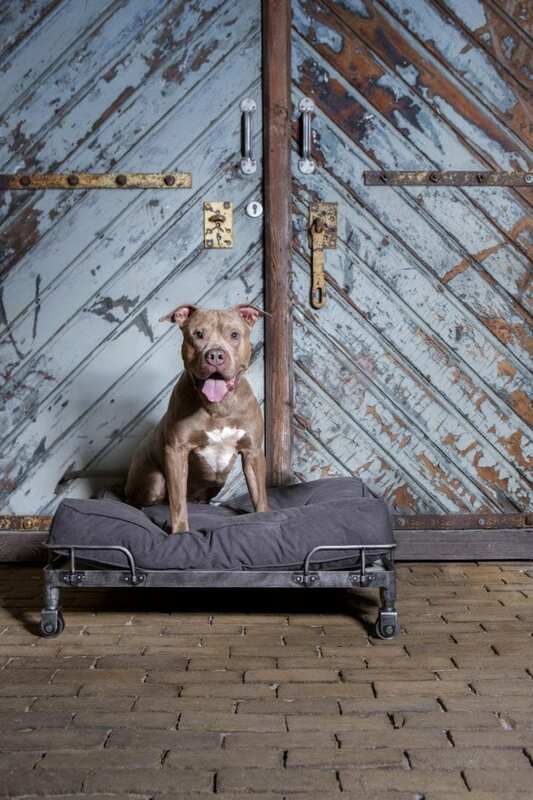 Bring a new level of comfort to your four-legged family member, as well as a modern vibe to any room you place it in. Place and adapt the dog bed to your liking, while always keeping your dogÕs comfort intact. 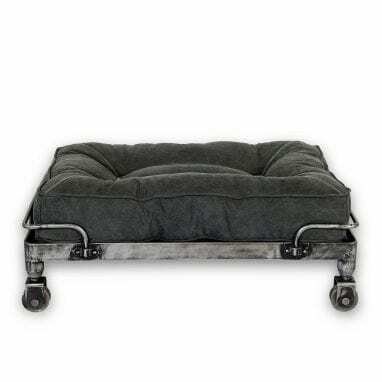 The Wheely dog bed is not just a piece of furniture, it’s a stylish and contemporary addition to your interior, fitting your loyal friend like a glove. Bring a new level of comfort to your four-legged family member, as well as a modern vibe to any room you place it in. 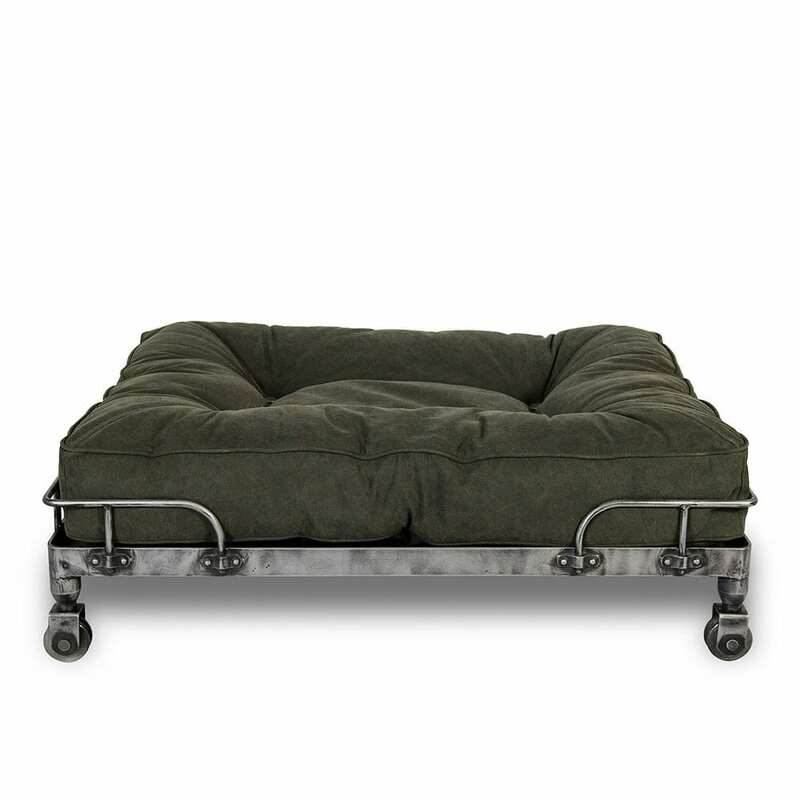 The Wheely dog bed is created to functionally fit anywhere in your house, adding a modern and industrial look and feel. 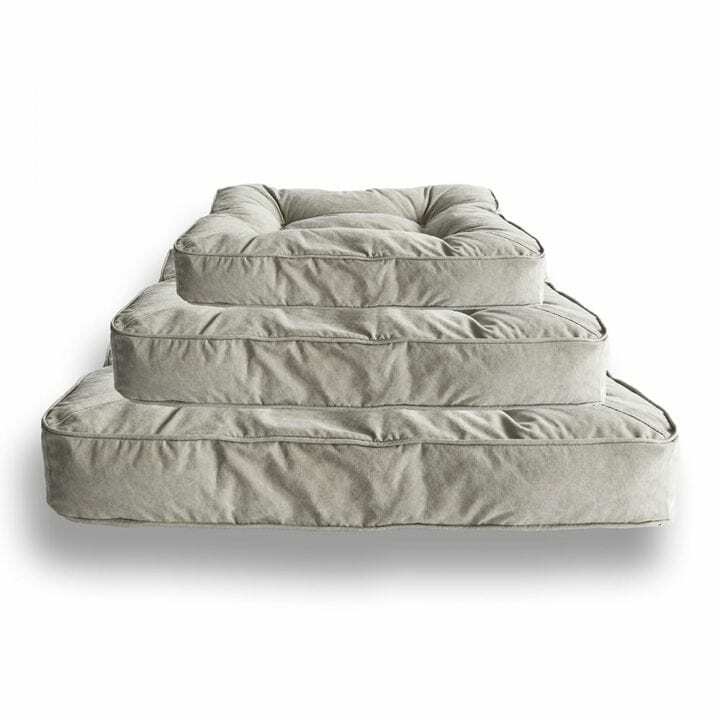  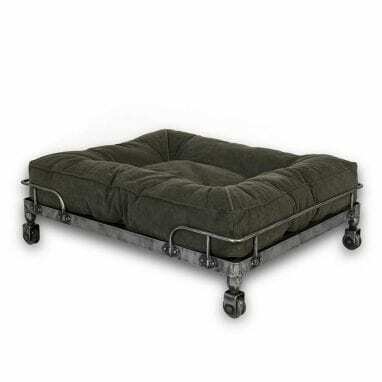 The bed is highly mobile and versatile but nevertheless extremely comfortable for your loyal four-legged family member. 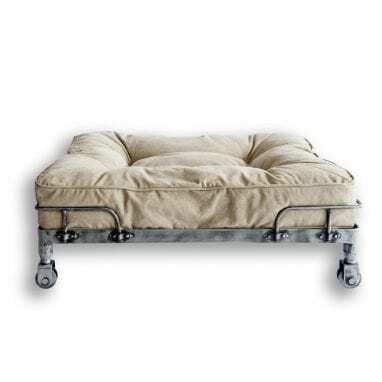 The elevated platform keeps your dog out of the cold draught. 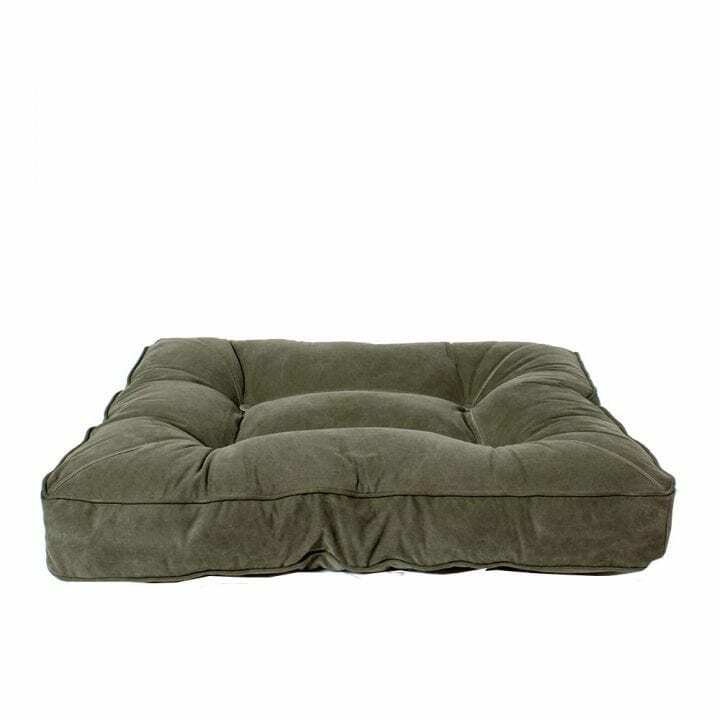 Its fitted padded cushion allows for a soft and comfortable bed. 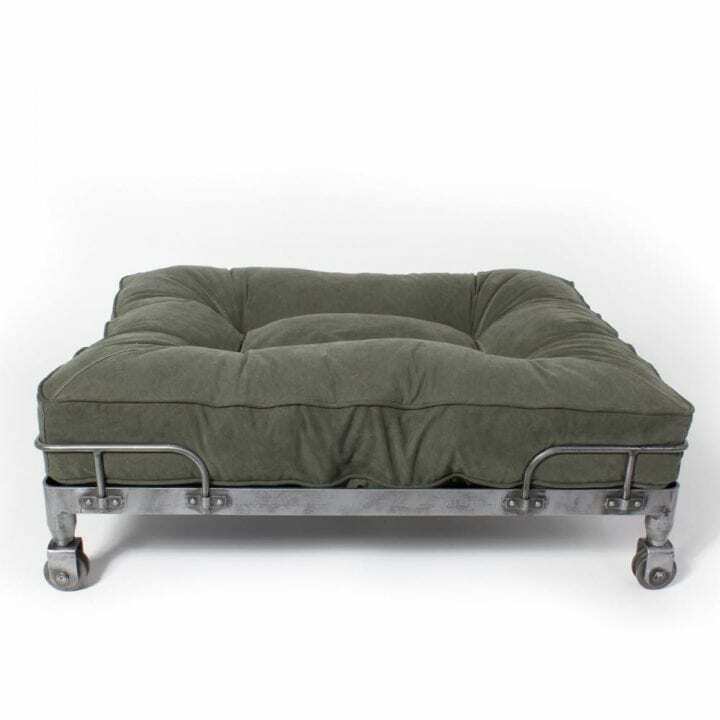 The combination of the metal base and comfortable London cushion gives the Wheely dog bed its industrial look and feel. The removable cushion is available in the colours stonewashed mocha, stonewashed dark green and stonewashed black. 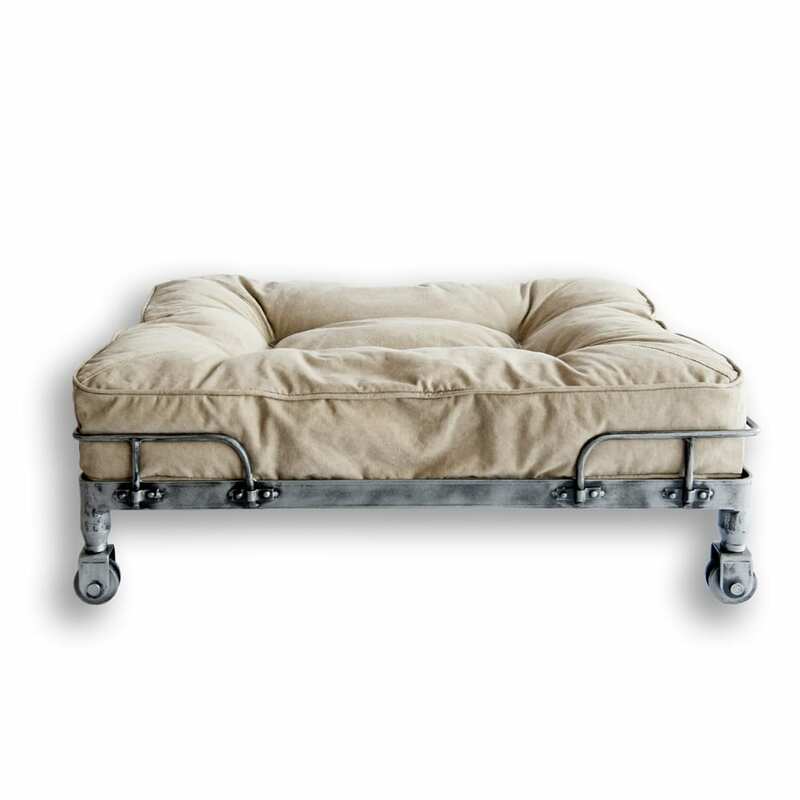 Choose the colour that fits you and your dog best and place the mobile bed anywhere in your home. 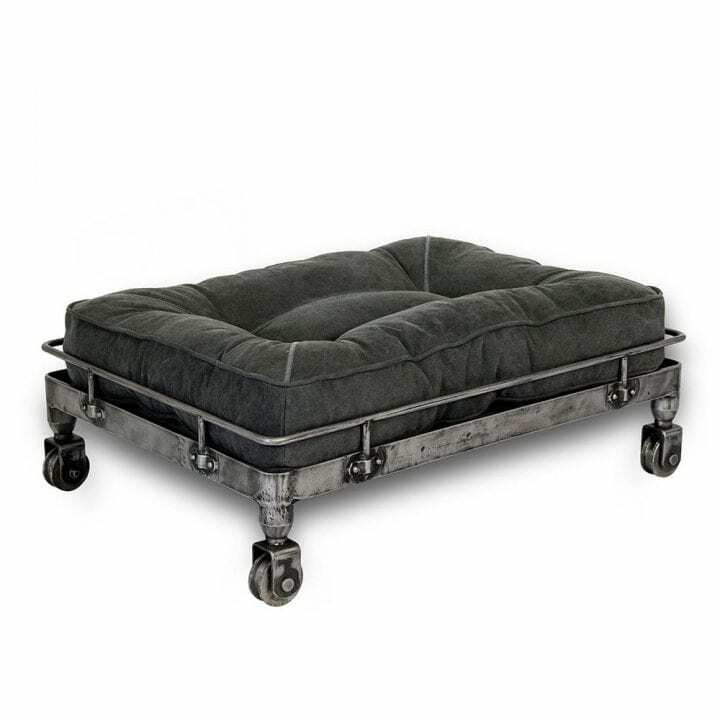 When preferred, the wheels can be secured in one position, so your pet doesn’t do any unexpected travelling. 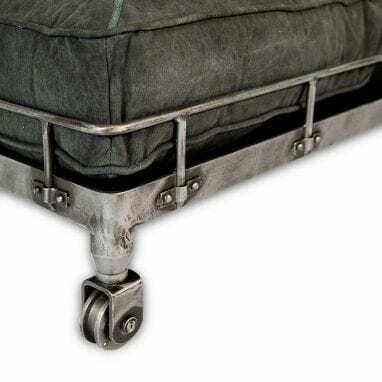 Now doesn’t that sound ideal?